Did you grab a slice yet today? Why not? You didn’t know? 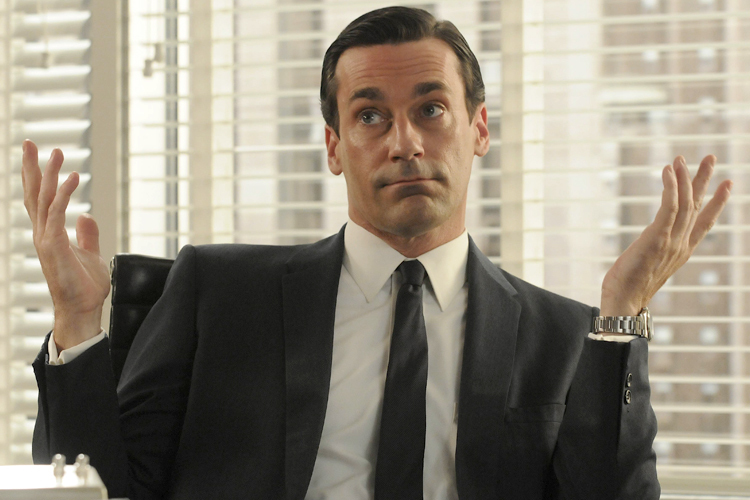 Now you may be asking, “who decided this?” IT DOESN’T MATTER WHO DECIDED THIS! IT’S PIZZA! 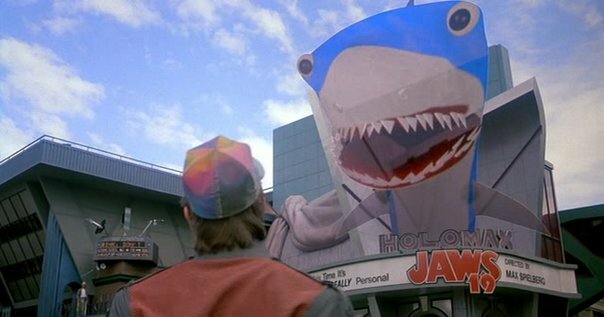 So let’s commemorate the occasion properly and take a look at moments in television and film that made us hungry enough to call for delivery. 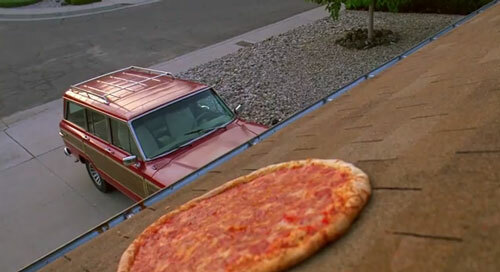 Most fans can pinpoint it to Season 3 Episode 2, but how did that pepperoni pizza get up on that roof? Walter?…Don’t you do it!…Dammit, Walter. How many immature jerks, I mean kids, tried this themselves? 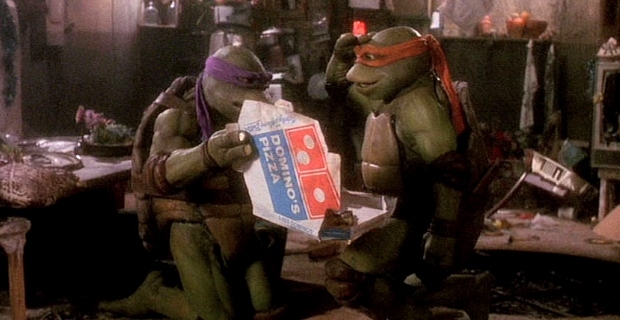 I imagine it was a rough go for delivery guys nationwide during the 90s. Not really any physical pizza being involved, but clearly Peggy has what we all do on her mind…Hey! Get your head out of the gutter! 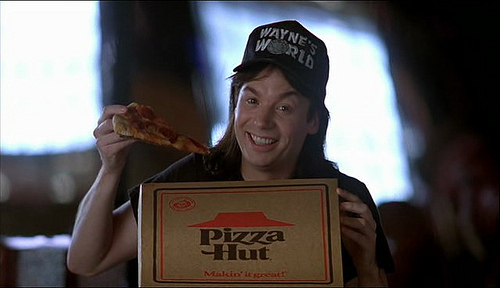 Not only did they try predicting the next time the Cubs would go to the World Series, but also the way we ate pizza. I’m okay with them being wrong about the latter. 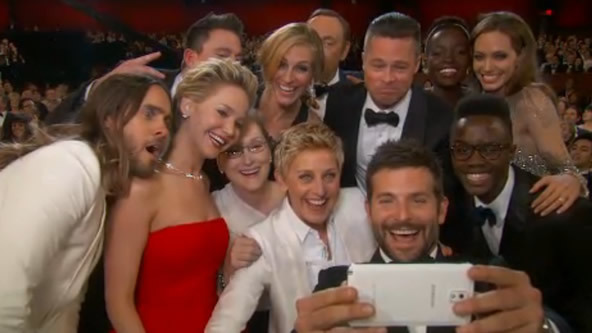 While Ellen was breaking the internet with the world’s greatest selfie, she was also throwing the world’s greatest pizza party…C’mon. Brad Pitt was passing out plates. 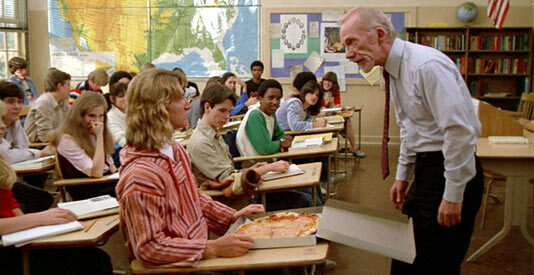 “Who ordered the double cheese and sausage?” Probably the best pizza moment in cinematic history. Have another great pizza moment in mind? Comment here or Tweet @Mike_PiFF03. 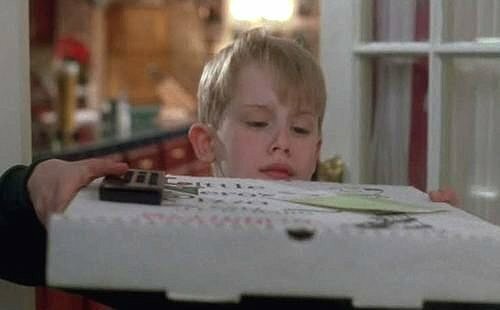 Now go get some pizza! Reblogged this on sadiebadue's Blog.